One of the first things that you always notice about a person, whether you realize it or not, is their confidence levels. You can see how confident they are from across the room, even before meeting them. This is why having confidence is so important. When you have it, life seems to just be easier for you. There are tons of studies that support the correlation of confidence and success in several areas of life (school, workplace, relationships, etc.) 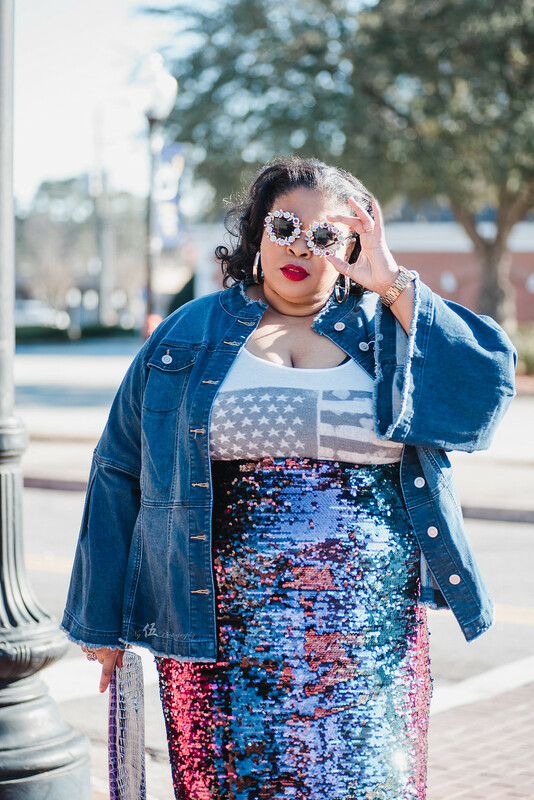 As a plus size woman, it is even more important to have a healthy dose of self confidence. We’re always reminded of the fact that we live in a world that other think we don’t “fit” in. It can be hard to navigates those waters if your confidence tank is low. Of course, this is easier said than done. 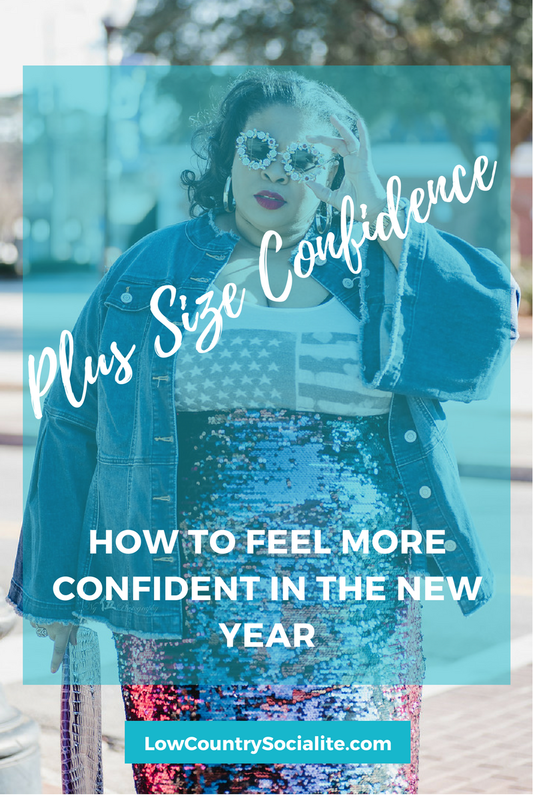 A lot of people struggle with having confidence and do not know where to start when trying to improve their self-esteem levels or where their low confidence even comes from. According to Psychology Today, “Low self-esteem can be deeply rooted, with origins in traumatic childhood experiences such as prolonged separation from parent figures, neglect, or emotional, physical, or sexual abuse. In later life, self-esteem can be undermined by ill health, negative life events such as losing a job or getting divorced, deficient or frustrating relationships, and a general sense of lack of control…” These are hard situations and feelings to overcome and sometimes you need help to do it. Sometimes low confidence doesn’t even have a root that you can pinpoint, it can just develop & fester over time. Luckily, there are ways that you can begin to improve your self confidence and all you have to do is try to take it one step at a time! This is why today, I want to talk about how you can work on improving your confidence in this New Year! Below are just a few of my favorite steps towards feeling better about the “you” that you present to the world. Eating better foods and drinking enough water is one part of taking care of yourself, but there is more involved than just the basics. In addition to eating the proper foods and drinking enough water, you also need to make sure that you are getting enough sleep. Make sure you are laughing and make sure you are able to say no when you don’t want to (or can’t) do something. Your life, for the most part, should be happy and enjoyable. Defining your expectations for yourself and your limits of others, can help you with that. Also, make sure you are listening to your body and its’ needs and putting them first! So yes, Nutrition is a huge part of taking care of yourself, but there is much more to nutrition than what you are eating. Nurture your soul and peace of mind, as well as your diet. 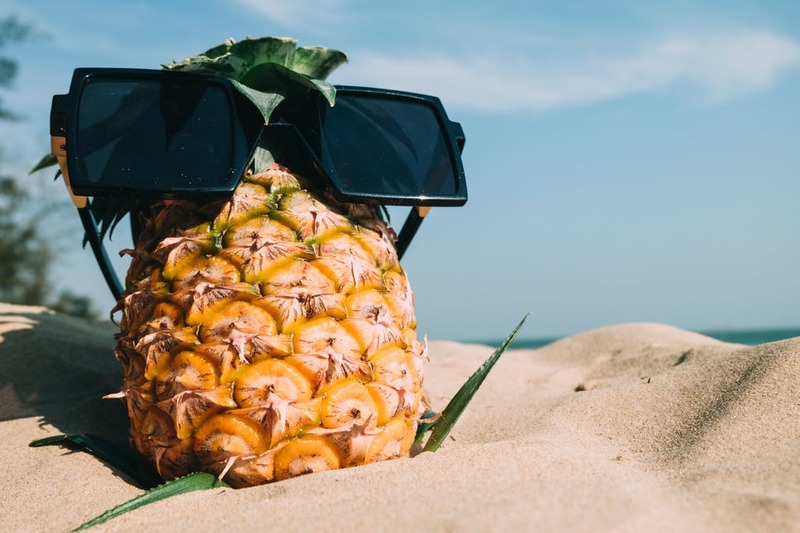 Have you heard the pineapple quote, “Stand tall, wear a crown and be sweet on the inside”? It should be everyone’s life motto. Well, I’m going to add one more piece to that. Be sweet on the inside but know when to be prickly, if necessary. Be enormously kind, but don’t let people run all over. It happens to plus size women a lot. Well, women period. Stand tall but while you’re doing that, stand UP- for yourself and for those who can’t. Confidence comes down to how you feel about yourself. Not every day will be perfect, but if you wake up each morning, and face the world with a great and strong attitude, throwing on an amazing outfit will all but seal the deal! Wear something that you love and that will make you feel great about yourself. You’ll be able to stand tall and proud, making yourself even more confident. Your smile is one of the first things that people will notice about you. Having a great set of pearly whites will almost force you to do more smiling. Smiling has a magical effect on confidence. Plus, people respond better to you when your smile is dazzling. It’s common knowledge that you are supposed to get a regular teeth cleaning every six months but a lot of people do not actually go in for their appointment and can end up damaging their teeth. Not to mention all of the other things that can go wrong with your teeth, like stains from coffee/food/cigarettes, injuries and decay. Either way, you need to make sure that your dental care is a top priority on your list. Make sure you are taking care of your teeth and doing all of your necessary preventative care and if you have any teeth problems that do arise, make sure you get it checked out and fixed. If you are in the Atlanta area, Metro Decatur Dental Group PC is there to help you out with all of your family dentistry needs, as well as the most up to date orthodontic care. Their world class facility is able to provide treatment for tooth loss, dental cosmetics, and even advanced restorative dentistry, as well. I know that teeth problems can be very scary and overwhelming, but Dr. Gary Simms is most known for his calm, caring demeanor and ability to help produce fantastic results for his clients, so you can rest easy knowing that you are in good hands. On top of that, if you check out his reviews, most of them say that the staff is extremely friendly, which is always a plus- especially if you’re a little nervous about going in for dental work, like me! Going to therapy can be a big deal if you or anyone in your family has never done it. There are huge stigmas around the concept and unfortunately that can cause many people to miss out on the help that they need. 2018 will be the year that I’ll be entering therapy myself. My issues with confidence has gotten a lot better over the years but there are still some things that I could use a professional’s help unpacking and processing my emotions. Having someone to talk to can help manage anxiety and equip you the coping skills that can make life a little easier. Anxiety can be a huge factor in feeling confident and I know a lot of people struggle with it. Although not everyone can “just relax,” but learning self-care tactics from a professional, like breathing exercises, light yoga, meditation, taking baths, and focusing on yourself can help to improve anxiety. 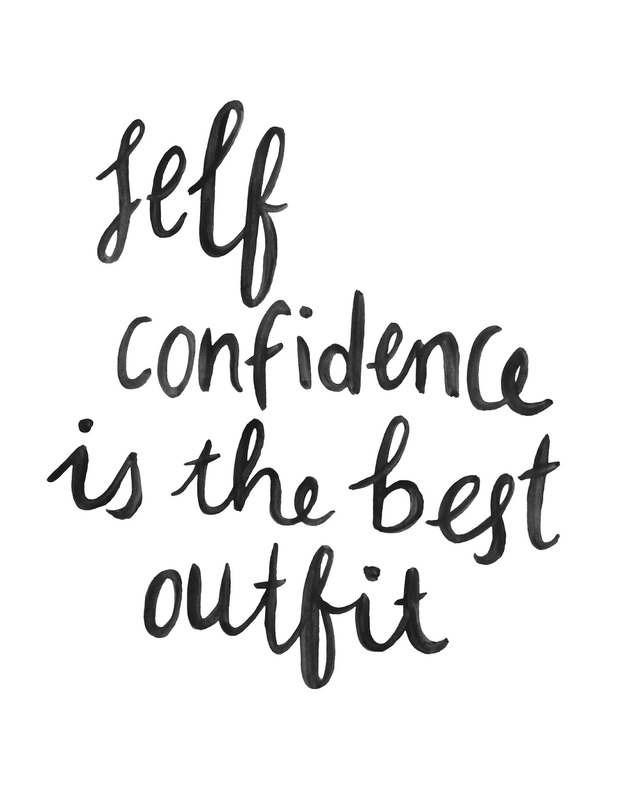 What are your favorite ways to stay confident everyday? Please, leave me a comment! I've been putting off some dental work that I know is going to make my confidence meter jump a notch or two. That and getting professional help for some long-standing issues. Great list! I've been there. Never too late (most of the time lol) to jump in there and take care of it!